Were these dazzling artefacts at the King of Stonehenge's burial site Britain's first Crown Jewels? They may not be studded with jewels and pearls, but these shining bronze artefacts may be Britain's first Crown Jewels. Britain's greatest treasures from the mysterious golden Age of Stonehenge are to go on permanent display for the first time ever. This will be the largest collection of Early Bronze Age gold ever put on public display. 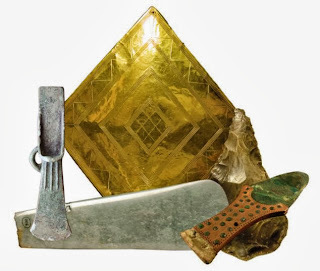 Amongst the ancient Stonehenge era treasures placed on permanent display for the first time, are a beautifully decorated gold lozenge, and a magnificent bronze dagger with a gold-covered haft. There is also a golden sheath for a dagger, a ceremonial axe, gold beads, necklaces, ear-rings, pendants and other items of gold jewellery, a unique jet disc (used to fasten a luxury garment), rare traces of ancient textiles and two of the finest prehistoric flint arrow head ever found. The new facility not only features treasures from the Age of Stonehenge, but also recreates some of the key places they were unearthed. Archaeologists have recreated the famous Bush Barrow burial, where a Bronze Age chieftain was buried in regal splendour overlooking Stonehenge itself. The museum hopes that the new display will help attract substantial numbers of additional tourists to Devizes, generating jobs in the local community. The new facility, consisting of four new galleries – form the centre-piece of the relaunched Wiltshire Museum. The museum is run by the Wiltshire Archaeological and Natural History Society, an independent charity founded 160 years ago. It now has 1,000 members. The large specially-designed new high security and humidity-controlled exhibition facility, constructed inside the museum, cost £750,000 to build, with funding coming from the Heritage Lottery Fund, English Heritage, Wiltshire Council, the North Wessex Downs Area of Natural Beauty and other sources. 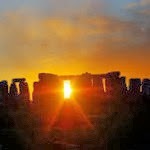 PEOPLE are being invited to have their say on plans to protect and enhance Stonehenge for the future. The World Heritage Site is managed by a partnership of public bodies, landowners and residents who meet regularly to discuss the Stonehenge World Heritage Site Management Plan. The plan sets out the main issues for the site and actions to protect and enhance its “outstanding universal value”. 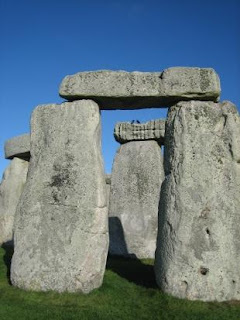 The last management plan was produced in 2009, when it coincided with a complete review of the location of the Stonehenge visitor centre, scheduled to open later this year. A number of drop-in sessions are being held for people to discuss the plans: at Durrington Library on October 23 from 2pm to 5pm; The Bowman Centre, Amesbury, on October 24 from 12noon to 3pm; Amesbury Library on October 24 from 4pm to 7pm; Shrewton Recreation Hall on October 29 from 10am to 1pm; and Salisbury Library on October 29 from 4pm to 7pm. 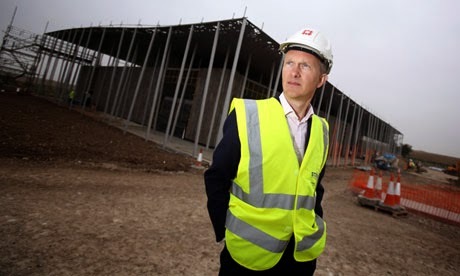 * A DRUID leader is calling for protests over ancient human remains being displayed at the new Stonehenge visitor centre when it opens in December. King Arthur Pendragon is organising a protest outside Salisbury Library on October 29, as well as at the grand opening of the visitor centre on December 18. Earlier this year, King Arthur failed in a legal battle to get ancient remains he calls The Guardians re-interred at Stonehenge. 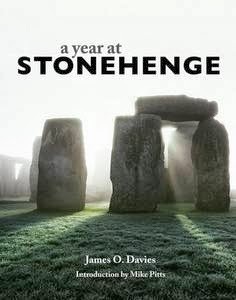 “Since The Guardians were removed from Stonehenge in 2008 for analysis, we have mounted a campaign to raise awareness and gathered many signatures of support, calling for their return and re-interment at Stonehenge which we believe was and should have remained their final resting place,” he said. 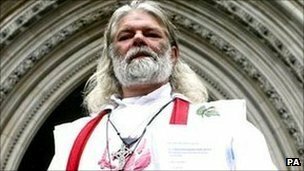 A public body has been served legal papers by a druid who wants to prevent it putting human remains on display at Stonehenge. King Arthur Pendragon has criticised English Heritage for the "macabre manner" it plans to display "ancestral remains" at a new visitor centre. English Heritage said: "Museum visitors are comfortable with, and often expect to see, human remains." 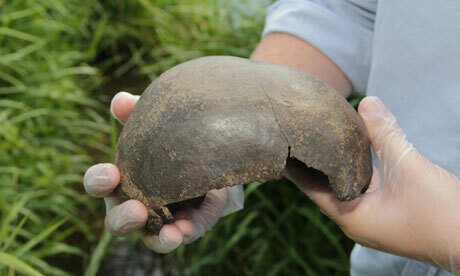 In May, he lost a separate legal bid to have bones, found in 2008, reburied. Mr Pendragon wants fake, rather than real, human remains to be used and is seeking a court and interim order to prevent English Heritage from putting the bones on display. The £27m scheme to build a new visitor centre and close the road alongside the ancient monument is due to be completed by the end of the year. Mr Pendragon said: "Proceedings are sought in the Royal Courts of Justice to prohibit the exhibition of skeleton and cremated human remains taken from the environs of Stonehenge by English Heritage in their new visitors centre, due to open later this year." In a previous statement, English Heritage said: "The remains of three human burials found in the landscape will be displayed with ample explanation along with archaeological objects, providing visitors with a direct connection to the people who lived and worked there." In an earlier legal bid, Mr Pendragon claimed the cremated remains of more than 40 bodies, thought to be at least 5,000 years old and which were removed from a burial site at Stonehenge in 2008, were the remains of members of the royal line and he wanted them re-interred. He lost a High Court bid to have those bones reburied in 2011 and permission to take the case to a full judicial review was refused in May. English Heritage said the remains it plans to display are not from the 2008 excavation and their "presentation, treatment and storage" would follow strict UK guidelines. contemporary photographs and maps and include viewing the early hangars and crash sites. an ancient avenue connecting ceremonial centres, and a rich diversity of wildlife. Geocaching - give it a go! trinkets. Bring something with you to swap for something from a cache! field is now chalk grassland - and full of minibeasts! Hunt for bugs and find out about the amazing lives they lead. ancient monuments, and the wildlife that can be found here today. some of the activities to tick off your list today! Durrington Walls to Stonehenge... and back again! less visited monuments that together form the Stonehenge World Heritage Site. way. These fine clumps of beech trees are said to commemorate Nelson's greatest victory. gentle stroll to the Cursus Barrows and back, of less than a mile overall. 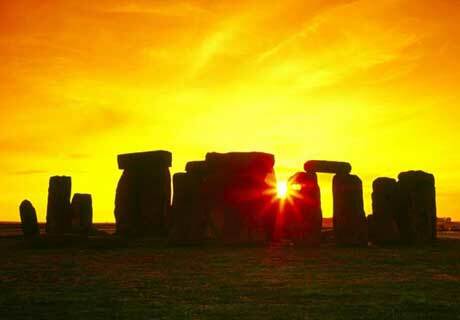 relationship between Stonehenge and the great henge of Durrington Walls. We'll be walking around five and a half miles. exciting discoveries including recent geophysical research. We'll be walking around four miles. friendly games. There are lots of games to part in for all ages and ability - even parents can join in too! Accompanying adults free.